Clear your mind. I'm going to ask you a simple question and you should give the first answer you think of, without taking any time to consider your answer. Ready? Name one NVIDIA graphics chipset. Quick! The chances are that many of you will have said 'GeForce 7800 GTX'. Many more might have said '6800 Ultra'. The reason for that is that these top-of-the-range cards receive a lot of press, despite the fact they retail for hundreds of pounds / dollars and relatively few people buy them compared with the total market. I would bet an entire sheet of bit-tech case badges that not one of you shouted out 'GeForce 6200 with TurboCache!" Am I right? It's called the 'halo effect': make a lot of noise about a highly desirable, range-topping product and get customers interested. It doesn't matter than 99% of them go home with a lesser model - there is usually a greater profit margin in the low and mid-range products than the top-of-the-range. Capture their hearts with the 2.0 litre turbo Focus RS and they go home with the 1.4 litre and some free floor matts, happy that their new car looks a bit like the one zooming around snow-laden forests in the World Rally Championship. The same is true with graphics cards. With NVIDIA's previous generation, everyone lusted after GeForce 6800 Ultra SLI but many settled for a more economical 6600 GT. 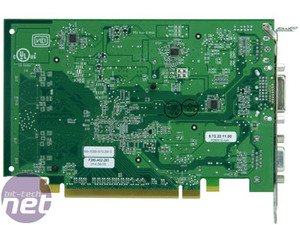 Even entry-level customers could claim to have a 'GeForce 6' by spending less than US$100 on a GeForce 6200 TurboCache. It was DirectX 9.0c compliant, supported Shader Model 3.0 and utilised PureVideo to make video super spangley. Having moved on to and successfully launched both the GeForce 7800 GTX and GeForce 7800 GT, it was time to revamp their highest volume card and introduce something new at the entry level. 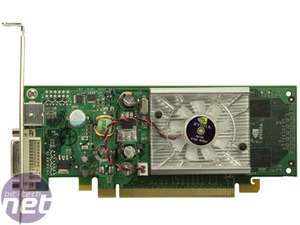 The GeForce 7300 GS is that card - NVIDIA's replacement for the GeForce 6200 TurboCache. This change is evolutionary more than revolutionary. There are, of course, new features for the 7300 GS (more on those later) but since NVIDIA jumped from GeForce 6800 to 7800, it stands to reason that this new card would be known at the GeForce 7200. In fact, we have seen corporate branding which suggests 7200 was considered, but later changed to 7300. Naturally, we drew a blank when we quizzed NVIDIA on this - they instead hinted that a 7200 might well exist at some point in the future, though we doubt this will prove the case. The most obvious reason for the change was to make the 7300 GS sound a little more than just the 6200 equivalent for the GeForce 7 family. We will find out if that is true, but let's start with the physical layout. 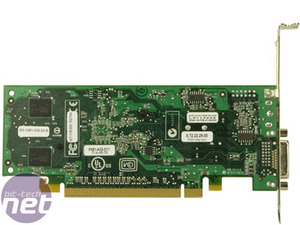 The card is available in two flavours: a full-size PCB featuring VGA, DVI and TV-out (above), and a half-height PCB that drops the aging VGA D-sub and makes do with DVI and TV-out only (below). As befitting their low-cost role, the card are quite plain. No ridiculous external power connectors here and the GPU requires only a very simple single-slot heatsink & fan to keep it cool. 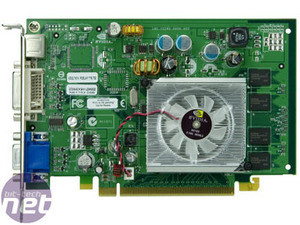 In fact, we have been told to expect passively cooled models from various board partners so the GeForce 7300 GS may prove popular with Home Theatre enthusiasts and low-noise zealots alike.